Well, only hours after my speculation that Amazon might intend to make a huge impact by being the first company to make the next obvious step in eReader innovation by jumping in with a Color Kindle they have leaked some information to the contrary. Instead, according to a recent Reuters report citing an inside source who has direct experience with the prototype, there will be new Kindle models coming this July that include the first front-lit monochrome Kindle eReader. Naturally the comparison will be made with the Nook Simple Touch w/ GlowLight. We have to expect that Amazon will be making a more significant overhaul of their eReader than Barnes & Noble did, given how well the Kindle Touch has held up in direct Kindle vs Nook comparisons of late. Adding a lighting layer to the existing model would hardly be enough to get people interested. That said, it will meet demands. Customers have been wishing for a light on their Kindles since the first version was released. While the complaint has not been enough to derail the Kindle, as many initially thought would be the case with so many LCD-based eReaders on the market, the demand has not gone away at any point. The type of lighting we believe will be used in the new Kindle will allow for adjustable intensity for reading in any situation while not being a major source of eye strain or power depletion. Essentially we get to keep all the benefits of E Ink without making the sort of sacrifices that are usually involved in switching to lit devices. Chances are good that Amazon will attempt to draw attention to the new Kindle by pricing it below the comparable Nook model. Reuters speculates on a $10 price increase related to the added light and that does seem reasonably in line with previous Kindle pricing, as Amazon loves to demonstrate how affordable they can manage to be. The normal, un-lit Kindle model or models will be priced the same as ever, most likely, with further cuts possible should they have managed to source cheaper parts. Clearly the strategy of selling at or near cost is working to their advantage and will continue. While it is disappointing to not have a color Kindle on the horizon just yet, it makes sense that this upgrade had to come as soon as possible. The Kindle has not always been the best eReader available, especially in early comparisons with what Sony was offering, but there has rarely been a feature that could be pointed to as overwhelmingly important and only available through the competition. Look for the newest Kindle eReader to be released before the end of July 2012 and the newest developments in Kindle Fire and color Kindle hardware in the months that follow. It is unlikely that Amazon will fail to pursue color E Ink in the year to come and we know that the Kindle Fire is due for an upgrade before the holiday season. This should be the first of many big Kindle developments. I would be the first to admit that the Kindle line is amazing. I love my Kindle Keyboard and use it daily. I also know that I’m not the only one. It is therefore unsurprising that when a Digitimes rumor indicated that Amazon was buying up truckloads of color E Ink screens in a size that would work in the standard eReader form, many people took it seriously. It turns out that this is pretty much confirmed to be a fabrication already, and that is not at all the bad thing that it seems at face value. As those who have followed any of the rumor storms surrounding Kindle releases are probably aware by now, Digitimes is something of a questionable source. While they get just enough right that people keep checking back, this time other more reliable resources with far better track records have checked into the situation and confirmed that there is no chance at all that Amazon will be launching a color Kindle. Not only are the E Ink Triton displays currently being produced primarily in 9.7” rather than the 6” that Amazon would certainly require after the failure of the Kindle DX to take off in any major way, they would apparently need at least a year to gear up for fresh production of this magnitude. Before you get upset, though, take a look at the Triton display a little more closely. Under ideal conditions, it is amazing. Everything we would ever ask for from a color eReader and perfect for a new Kindle to breathe innovation into the eReader market with. What we saw at CES 2011 was not that. It looked nice, but that’s about all. The colors were definitely on the screen and they were distinct and easy to make out, but they were dull. Uninteresting. Not quite ready. As much as I would love to have a brand new color eReader that could bring everything in the print world together again without the need for the flaws of LCD displays, this is not the way to pull it off. When Amazon releases their first color Kindle eReader, let’s hope that they take it seriously and make it a serious product rather than just jumping to get something on the market to prove to customers that they haven’t completely given up on reading in favor of tablet sales. Make no mistake, in time there will be a Kindle Color and it will not have an LCD display. Jeff Bezos said a long while back now that he was unwilling to release a color eReader before the technology was ready to do it right. This is not that time and I am happy to say that there is no reliable indication that either Bezos or Amazon in general have changed tune. Give it a year or two, then we can see what the future of eReading looks like. In the meantime, there is always the Kindle we know. A combination of the high expectations surrounding the upcoming Amazon Kindle Tablet and the lack of substantial information regarding the expected hardware update to the existing Kindle eReader line has led to some speculation about secretly substantial change being just around the corner for the bestselling eReading device. Domain name acquisitions have pushed some people into a belief in the importance of a touchscreen for the Kindle, but more ambitious sources are holding out hope for a truly impressive jump forward. Wouldn’t having the first affordable Color E INK eReader be quite the coup for Amazon, after all? 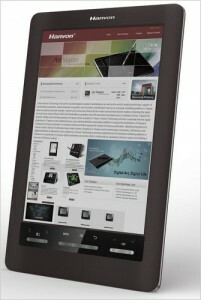 It would certainly make the Nook Simple Touch a bit less shiny by comparison. Still, and I say this with nothing but regret, there is next to no chance that we will be getting a true Kindle Color any time soon. Sure the Kindle Tablet will have the ability to read, but only in the same way that the Nook Color or your average smartphone can technically be an eReader if the user so desires. 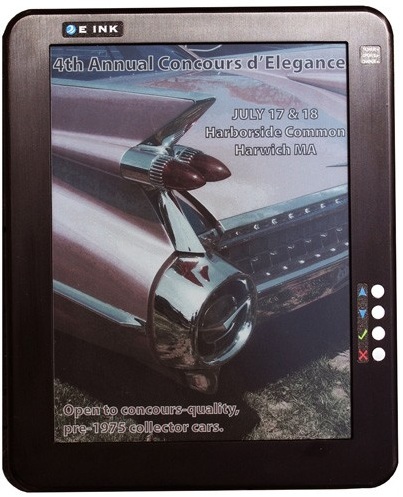 Until screen technology advances a bit further, nobody is likely to want to gamble on a good color reading display. The problem right now is the tradeoffs. To make a Kindle Color worthwhile, Amazon would need to have a vibrant color display that didn’t detract from the existing touted benefits of the Kindle’s display. That means you can’t have a back-light, high battery draw, or less than crisp text. Nothing currently being produced meets all those criteria while still being affordable enough to keep things competitive. If they did, the Kindle Tablet would be looking at such a screen and would have a significant advantage over every other Tablet PC on sale today. Naturally something has to give. The Kindle device is going strong at the moment, but that’s mostly sue to a combination of momentum and strong backing from the platform as a whole. If the hardware faces too much competition that can match or surpass it, Kindle sales and by extension Kindle eBook sales will suffer. Amazon has to know this. As such, I would say that getting your hopes up for an updated Kindle is totally safe. What can we expect if not a color screen? Well, a touchscreen is inevitable to match the competition from B&N, Sony, and Kobo, if nothing else. Given the Kindle Scribe rumors, it wouldn’t be at all shocking if a stylus were included in the design. Since nobody else is using 3G coverage Amazon could technically let that slip, but the recent ad deal with AT&T would seem to indicate that they value the ability to bring that sort of thing to customers. Beyond these things, however, it’s anybody’s guess. Higher resolution screens? Bluetooth? Strange magical powers? All possibilities! Current speculation places the updated Kindle‘s release in late October, but that information is several weeks old now. Given the most recent Kindle Tablet developments, and the fact that Amazon is likely to emphasize the new branch of Kindle products heavily for this holiday season, we may not be seeing new Kindles before late November. More updates will show up here as we dig them up. 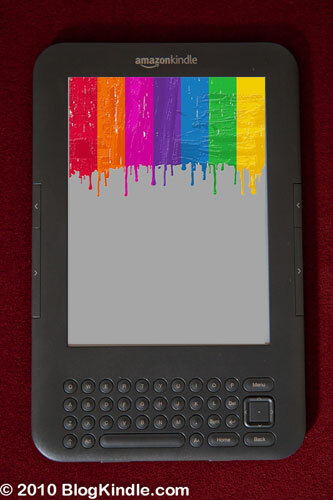 Color eReaders are getting more and more press as time goes on. Now that we have the Hanvon release just months away, there’s not really much room left to say that non-LCD color displays aren’t ready for release into the market yet. As such, it’s pretty reasonable to expect that 2011 will see the release of a new Kindle. Call it the Kindle Color, Kindle 4, or whatever you want…we already had a number of excellent ideas from readers about that in another post…it’s all but to be taken for granted at this point. What will we be getting along with it though? Yes, I know some people are clamoring for an increase in screen size and this isn’t really any different from what we have now. To me, the screen is the right size already, we just need better resolution. Also, it helps keep the Kindle distinct from your average 7″ Tablet, which I can’t help but feel is important. eReaders have got to continue to stay their own category if we’re going to avoid major compromise in quality in favor of more tablet/phone type features. User-defined nested folders, personalized screen savers, more sorting options, an improves search function, basically anything that will make the process of using the Kindle move faster and more pleasantly so I can get back to reading on it. I know, fat chance, but we can dream, right? It would save some people, myself included, loads of trouble on eBook conversion and it would make library usage finally possible. One of the things that worries me about the new release is the potential for intrusive advertising. I’ve already said that I think WOWIO does a pretty great job of avoiding that, but they’re not the only ones out there. Definitely wanting to avoid talking ads, horribly blatant product placement mid-text, and other such distracting things. A setting to switch things to the classic Kindle monochrome would be great, just in case. Let’s face it, what we have now is a little sparse. I’d like to see some improvements, perhaps even when it comes to song selection while reading? That’s all I’ve got for the moment. Some of these are long shots, others might be already in the works for all I know. There’s some good discussion going on over in the Kindle web forum about exactly this topic. Check it out and chime in with your opinions, if you have any. The way I figure it, the more input Amazon gets on what its customers want, the better the product will be in the end. With commercially viable Kindle Color eInk displays announced in November, Mirasol displays being around for a while and Barnes & Noble Nook Color being widely perceived (though not by me) as first color eReader, it seems inevitable to me that Kindle Color is going to be released sometime soon. Until December 25th inclusive you can leave your ideas about Kindle Color name as comments on this post. On the 26th I will randomly choose a comment and present the winner with Lighted Leather Cover in any available color. If you would prefer a cover without light, that’s a viable option too. You will be able to select either once I contact you in case you are the winner. The grand prize would be the Kindle Color eReader device itself once it comes out. It will be awarded to whoever first guesses the device name. Since I want this to be a contest of creativity rather than speed, “Kindle Color” name is not eligible for the grand prize. If it indeed turns out to be the name, I’ll donate the grand prize to some good charitable cause. So, happy guessing! I’m looking forward to these comments! Hoping for a Kindle Color? For the first time in a while, we have some real hope for a decent full-color eReader in the near future. Sure, the NOOKcolor will be out soon, but nobody really cares that much. E Ink, maker of the current amazingly popular screens for the Kindle and nook, has announced a new display technology that they have dubbed Triton. E Ink Triton is a color active matrix imaging film that manages to retain all of the benefits of their previous products(such as the monochrome E Ink Pearl screen found in the current generation of the Kindle) without limiting the display options when it comes to illustration. Users can expect to retain the direct sunlight readability, quick page turns, amazing battery life, and durability that they have come to expect and hopefully quite a bit more, depending on how companies like Amazon(NASDAQ:AMZN) manage to adapt the technology for improved user experience. This comes with the usual cautions, of course, before people get too excited. Namely, this is not an LCD screen. This means that you cannot expect everything to work precisely the same way a standard computer monitor would. You will not be watching video on it, nor will there be a back-light. It is an amazing leap forward for eReading technology, not just another potential selling point for entries into the tablet race. Reflecting on that point, if this works well and is adopted for use in something like the Kindle, there will really no longer be any grounds for complaints about usability from people wanting anything short of a full-function tablet. This advance bodes well for the future of eReading and will definitely tie in well to such things as the recent push by Amazon to get periodicals published on the Kindle platform. I know that we won’t be seeing a color Kindle by the end of this year, but now that it appears to be a practical inevitability, the possibilities are abundant.